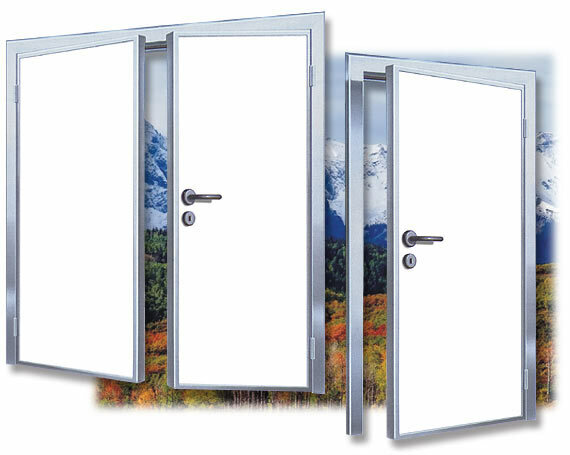 Stainless steel or anodized aluminium door frame. Liner: polyester, filling: EPS. Thickness - 40 mm. Standard stainless steel handle and hinges. Stainless steel or anodized aluminium door frame. Optional polycarbonate window.